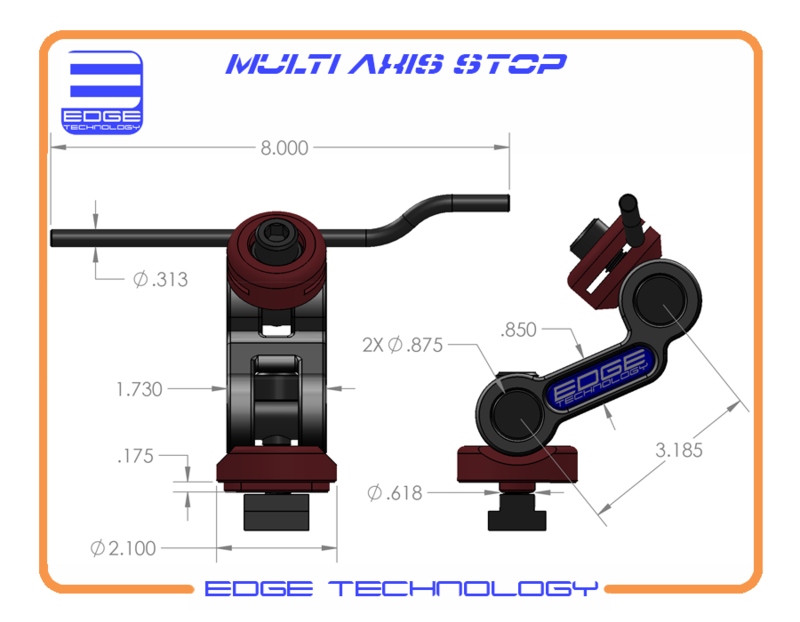 The Multi Axis Stop by Edge Technology has a design that stays completely below the top surface of the vise which means it will not interfere with cutting tool paths. 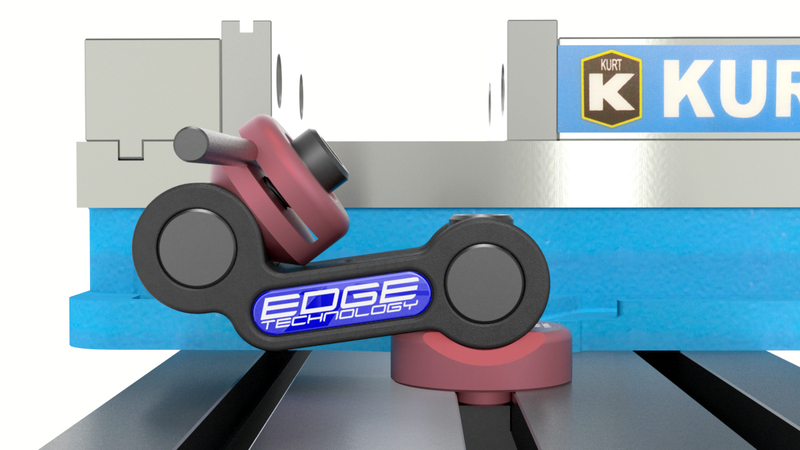 It will also keep the stop rod square to the workpiece throughout the entire range of motion. 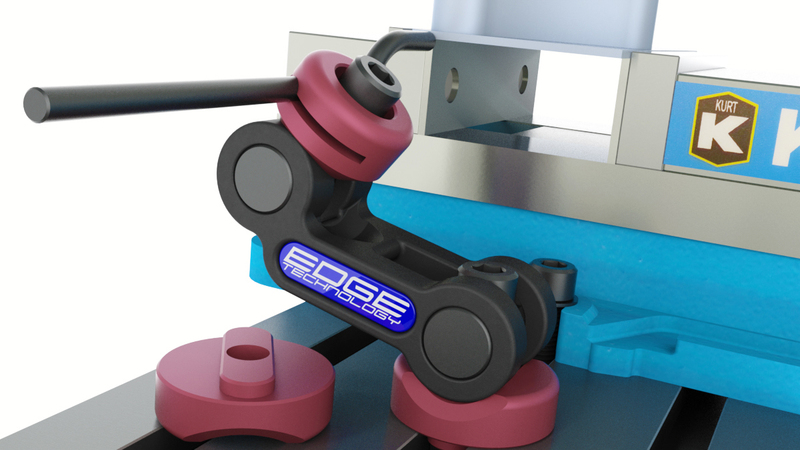 This configuration provides a more consistent locating surface for increased part accuracy. It can be mounted on any available T-slot anywhere along the milling machine table allowing it to accurately locate a workpiece for any type of setup. 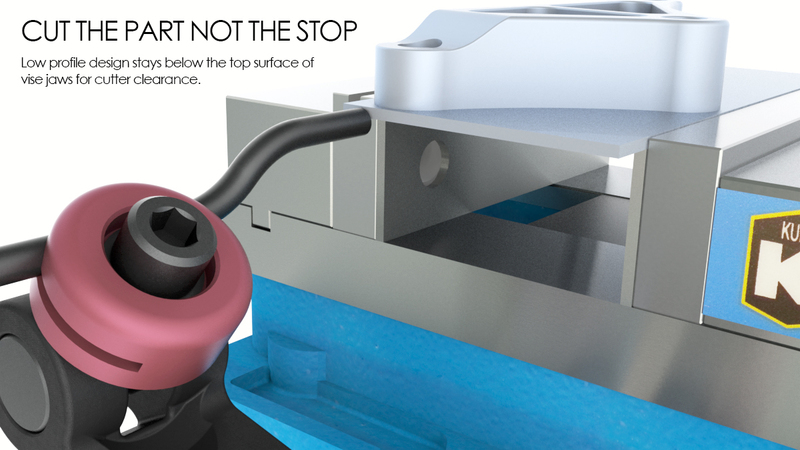 •	Unique design stays completely below the top surface of vise jaws for cutter clearance. •	Versatile design allows the 5/16" hardened stop rod to be quickly and accurately positioned. 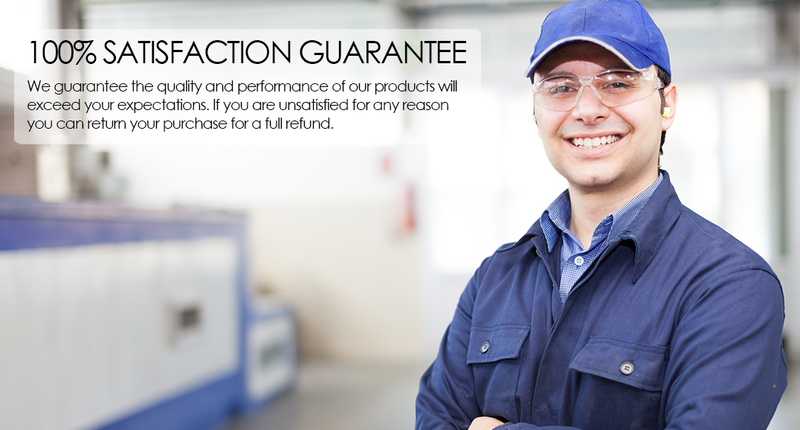 •	Large 1/2-13" socket head cap screws rigidly clamp the unit in position after adjustments are made. •	Base of unit is keyed to T-slot in table.